This edition of The Week That Was is brought to you by Eldon, makers of Billy Blastoff. Now he walks! Almost done with that commercial reel, and I found a whole bunch of new ones to torture entertain you with starting later this week. The saga of my new tooth has finally drawn to a close, a little over a year after it began. The tooth fits well and I imagine that over time it’ll feel the same as the rest of them. I’m just happy it’s over, but I keep running my tongue over that area thinking I’ll feel the little healing dock that was in my mouth for roughly half the time. I should have gotten it back from the dentist… Anyway, here’s the summary for the week. “Hot Rod Lincoln” by Commander Cody and His Lost Planet Airmen was my contribution to the blog hop. A number of musical acts haev done the song, and I had every intention of running a Battle of the Bands on Wednesday using it, but all the covers of it sounded pretty much the same, and I said forget it. BotB will return September 15, I promise. Mary at Jingle Jangle Jungle chose “Animals” as her theme for the week, so I had ten animal songs. That’s just the kind of guy I am. I did Two for Tuesdays this week. Bonnie Guitar was the regularly-scheduled one, and when I got the news that Aretha Franklin was nearing the end of her battle with pancreatic cancer, I featured her as well. I had featured both previously in March 2013, and Aretha again last year for my “High School Days” theme. My one-liner was one of those things I saw recently, a pithy comment on getting older. I shared a few things that entertained me on Wednesday, which was a day where all the tooth business had worn me out and put me in a bad mood. I have strange tastes in YouTube videos. 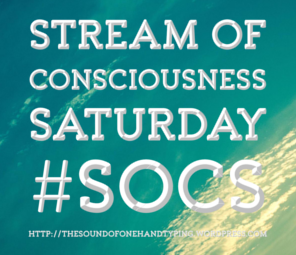 Also on Thursday, I designed a new badge for Stream of Consciousness Saturday, which you can see here. Voting will be this Thursday and the new badge, whoever did it, will be in use starting this Saturday. 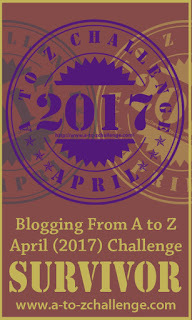 I think anyone can vote for the badge they like best over at Linda’s blog. I’ll remind you again this Thursday. The survey this week came from WSAY in Rochester, New York, and was interesting because some of the songs didn’t play on the radio in Chicago. This coming week will look a lot like the previous week, with maybe a few surprises. Maybe. A great week it was, John, and a busy one, as well. I’m glad your tooth is working for you.